KARTARPUR: Pakistan Prime Minister Imran Khan on Wedenesday said it will be madness to think of war between the two nuclear-armed states and that friendship was the only option even as he asserted that the Army and political leadership in Islamabad were on the same page on improving ties with New Delhi. Using the occasion of ground-breaking ceremony for the long-awaited Kartarpur Corridor to reset his country's troubled ties with India, he was at his conciliatory best offering a olive branch saying if India takes one step, Pakistan will take two steps. 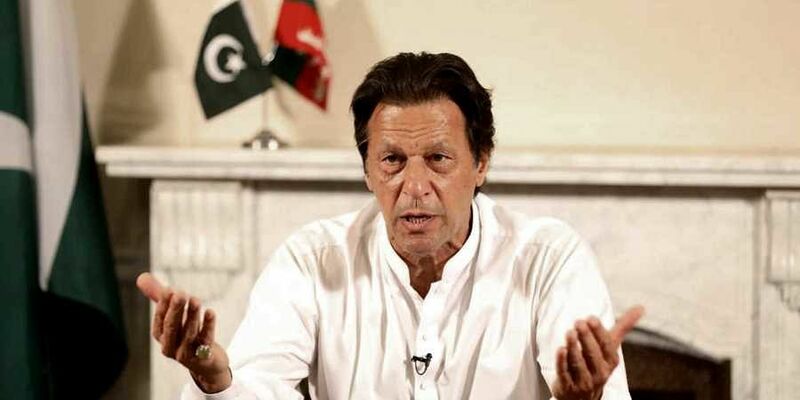 However, Khan raked up the Kashmir issue saying that it was the only festering problem between the two countries and even that can be solved with "boldness and decisiveness" of political leadership. The function for the Kartarpur Corridor that will link Dera Baba Nanak in Gurdaspur in India with Kartarpur Gurdwara, where Guru Nanak Dev spent the last 18 years of his life, was attended by Union Minister Harsmirat Kaur Badal and Punjab Minister Navjot Singh Sidhu, a long-time friend of Khan from their cricketing days. It was symbolic of elements that mark the fragility in Indo-Pakistan relations with the presence of Pakistan Army Chief Qamar Javed Bajwa and Khalistani activist Gopal Singh Chawla, a Pakistani national, on a day India declared that it will not participate in Saarc summit in Islamabad as talks and terror cannot go together. Referring to the strained relations between the two countries, he said a lot of mistakes have been made in the past by both the sides and said "the past is for learning lessons". "Both India and Pakistan are nuclear armed. There cannot be a war. Thinking of war is madness, thinking of winning is also madness as both will lose. There is no other option except friendship," Khan said. "Today, where India and Pakistan stand, it has been going on for the last 70 years. Till the time we break the barriers of the past, blame game and pointscoring will continue. We take one step forward and go back two steps. We have not displayed firmness to improve our relationship." Khan said that genuine political leadership should think of removing poverty. "If this happens, the two countries should move forward. "I want a strong relationship with India... We both can move ahead. If India takes one step, we will take two for friendship." Khan, who took over as Prime Minister earlier this year, referred to deep concerns in India that the Army drives Pakistan's relationship with India and does not want normalcy in the ties. "I am telling you our Army and political parties are on the same page. We want to move forward. We want a civilised relationship. There is one issue and that is Kashmir. Man has reached moon. Can't we solve our one issue? There is no such thing which cannot be solved. Both the countries need leadership with determination. Once the relationship improves, see what potential it offers to the two countries." He said if the borders between the two countries were open, it will boost trade and bring prosperity. Kashmir is not an issue. Kashmir is an integral part of India and we don't negoitate it for terror. Pakistan has been losing on terror also as seen in Kashmir where terrorists are neutralized.